Figure 21. Begin Installation by Attaching Extension Brackets and then Catwalk Outer Section to Crane Extension Brackets. Figure 27. Add Fuel to the Hammer Fuel Tank. See next section L-4. (3). Check for tightness of all hardware fasteners. 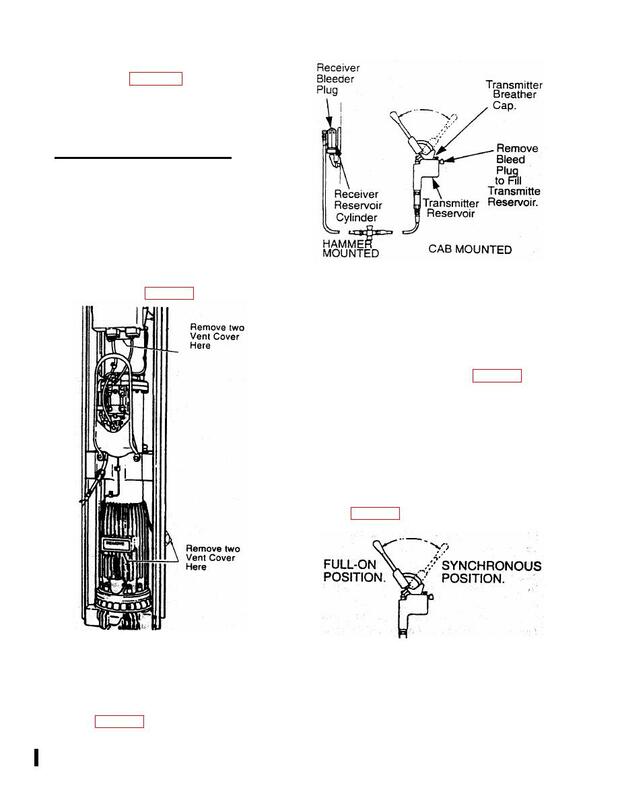 position prior to operating Hammer. per valve). (see Figure 24). b. Open breather cap on top of transmitter. left open during operation. (See Figure 27). oil is visible at the top of the fitting. now be bled from the system. against the internal spring for a few seconds. a. Bleed the hydraulic transmitter control system.